In 2013, the Financial Conduct Authority published a damning review into the conduct of certain Self-Invested Personal Pension (‘SIPP’) providers. In particular, that review highlighted concerns surrounding whether those providers had undertaken an appropriate level of due diligence before allowing retail investors to invest into high-risk, unregulated and non-standard investments in the absence of proper financial advice. you are not a high-risk investor (sometimes referred to as “sophisticated” or “high net worth” investors). We are aware that the Financial Services Compensation Scheme (‘FSCS’) has begun looking into complaints in relation to such matters. The FSCS considers complaints against firms that are “in default” – i.e. they cannot meet their liabilities. Montpelier Pension Administration Services Limited. 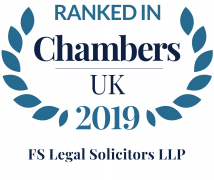 If you have held a SIPP with any of the firms referred to above, please contact us on 01384 889916 or email rebecca.handley@fsl.legal, to arrange a free, no obligation review of your case. If we assess your case as suitable, we may then be able to offer to undertake a claim for compensation on a “no win no fee” arrangement. Even if the SIPP provider that you dealt with is not named above, if it is “in default” (or is likely to become “in default”) then we may still be able to help. We also may be able to help where the firm is still trading. In either case, please feel free to contact us and we will let you know whether we will be able to assist or not.